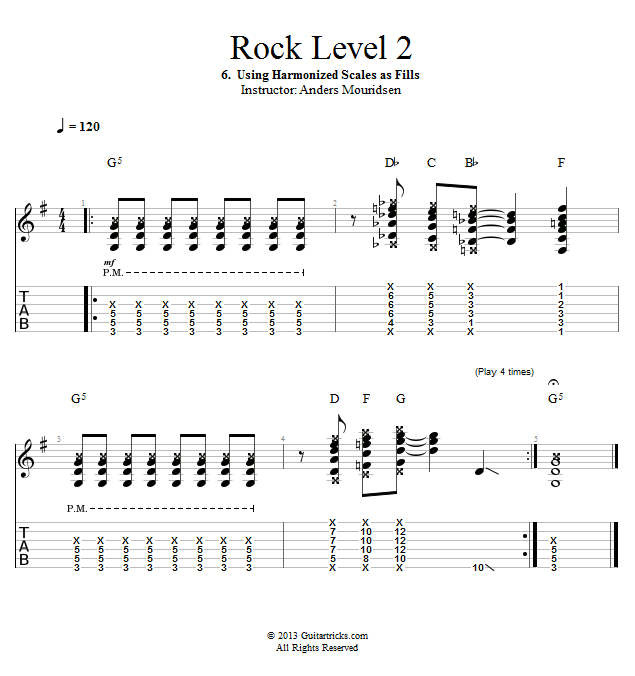 In the previous tutorial you learned how to harmonize full blues scales with major chords. In this lesson we're going to use this concept as a variation or a "fill". We will be in the key of G, so before we break down the example we will have to locate each of the harmonized scale degrees in the new key.